So you think you’ve done everything right: used your focus points, a fast shutter speed, etc. But your shots still aren’t quite in focus. In this episode, Gina and Valerie welcome camera guru Wayne Rogers to discuss this as well as lens creep vs lens slop (! ), whether UV filters are worth using, common mechanical problems that cause your images to be out of focus, how shooting high ISO can influence the sharpness of your image, the best way to get rid of or prevent mold growing on your lenses – and much more. Show Notes . . .
What are the best lenses and camera settings for portrait and documentary photography? 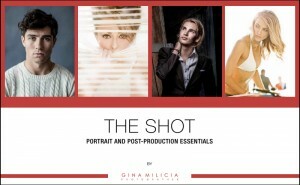 In this episode, Gina and Valerie discuss what you need to do to take your portrait shots to the next level. We break it down to the basics and then build on that if you’re ready for intermediate or advanced tips. Under 50mm means you need to be very close to your model to fill the . . .
Mieke Boynton is a landscape photographer who travels regularly, both within Australia and overseas, to capture the wonder and beauty of nature’s landscapes. She favours the epic landscapes of Kimberley region where she moved in 2008. She has travelled extensively in search of beautiful places and magic light and her photos of Norway, Patagonia, Namibia, Indonesia, New Zealand, Tasmania and the Kimberley have won numerous National and International awards. After 10 years, she has returned to the Alpine Valleys of Victoria to focus exclusively on photography. In 2008, Mieke Boynton moved to the Kimberley . . . There are some classic lighting styles that every photographer needs to understand. And you also need to be able to create them whether you only have daylight to work with – or flash. In this episode, Gina and Valerie discuss classic portrait lighting styles including beauty lighting, loop lighting, split lighting, Rembrandt lighting, short lighting, broad lighting and much more. Join the dynamic Gold Membership in our Community which delivers monthly tutorials, live mastermind and lots of behind the scenes videos into the creative process. Click play to listen to the podcast or find it on iTunes here. If you don’t use iTunes you can get the feed here, or listen to us on Stitcher radio. Knowing how to manipulate light in relation to your model is a game changer. These rules apply to ALL light, daylight,flash,led,torch or light saber. If you understand light you can achieve any light style. We talk to Sean Tucker on finding your authentic photography style. In this interview we talk about: being sacked as a priest, dealing with the shame he felt getting a waiting job when he was starting out, the struggle to find freelance clients, finding a unique style, the criticism that led him to finding his unique voice, dealing with imposter syndrome and much more. I stumbled on Sean Tucker’s Youtube channel a few months ago and was immediately drawn to his . . . Whether you’re a beginner, intermediate or pro – there is something for you in this episode. We talk about speedlights and how a simple little light can make ALL the difference. You’ll discover how to get started, easy hacks to bring your images to life – and savvy techniques that can replicate sunsets, window lighting and more. Great light is the basis of good photography but if you only shoot with daylight you limit your options for shooting. Many photographers are put off from using flash because it looks shite. When . . .
Julia is known for her strong compositions and her ability to work with colour, movement . . .
Ep 215: Sony, Canon, Nikon, Panasonic, Olympus or Fuji? Mirrorless or DSLR? Here is what you need to know. These days, we’re spoilt for choice when it comes to camera gear, lenses, accessories – and everything in between. And advances in technology mean that our cameras can do more than ever. Soon they’ll be able to cook us dinner! However, all this choice can be daunting. And it can be paralysing trying to decide which camera is best for you needs, goals and lifestyle. In this episode, Gina and Valerie outline how to choose the right camera whether you’re a pro, an enthusiast or an entry level snapper. There has never been a . . .
Donato Dicamillo’s street photography is nothing short of amazing. And he has an equally fascinating backstory that takes him from the streets of Brooklyn to being incarcerated in federal prison. His self-taught style captures a gritty emotion and imagery that is unique. And in this interview he reveals his journey. As a child Donato suffered behavioural problems with anger, he would soon be expelled from school at the age of sixteen for violence, then . . .